delivered in innovative, flexible formats at times and places that are convenient for diverse students. In so doing, we grow our market, and our visibility and value to the region and the state. With a Salem-based path through WOU’s new general education program and free electives offered through the pending Applied Baccalaureate in Liberal Studies program, students will be able to complete a undergraduate WOU degree without taking courses on WOU’s Monmouth campus. Salem-based graduate programs are also under development. 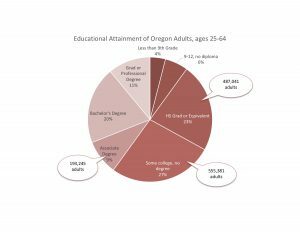 The Salem location, hybrid and online courses, and evening/weekend face-to-face schedules will make high-quality WOU degrees accessible to working adults in Oregon’s second largest city. 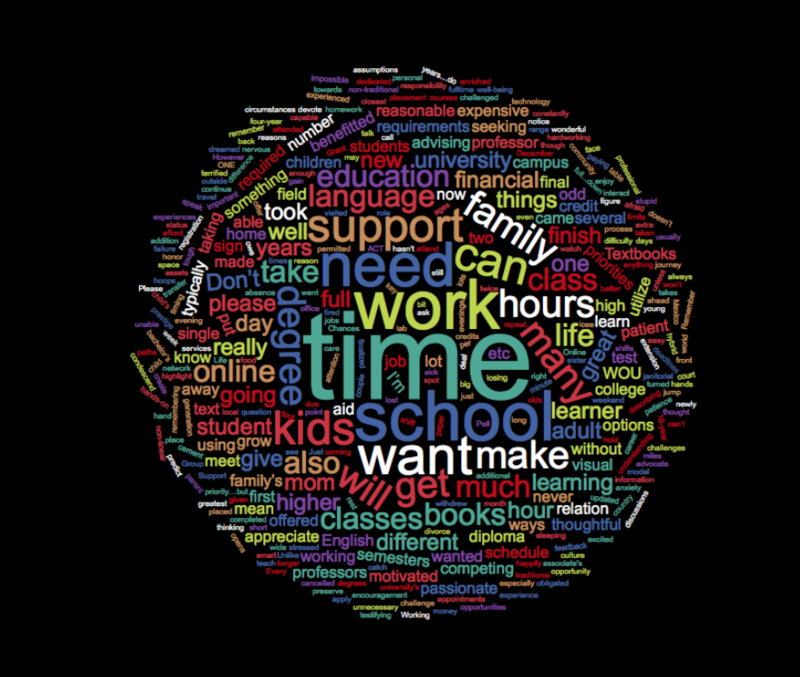 Complete College America offers valuable resources related to working with working adults who are returning students. 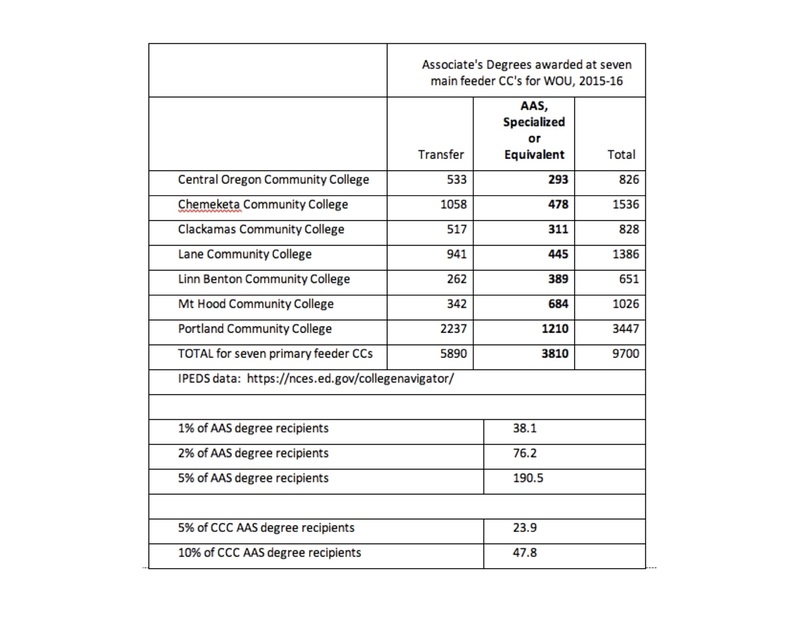 There are many Oregonians who earn AA and AAS degrees every year, but do not go on to earn a four-year degree. 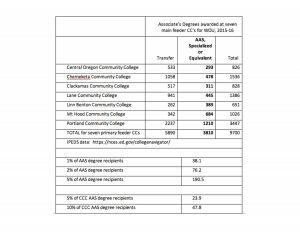 Over 25,000 workers in Salem have some college but no degree. Click below to learn more about the need for degree completion in Oregon. 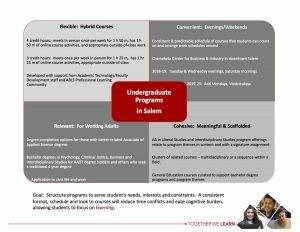 In Winter 2018-19, WOU will begin to offer courses at the Professional Learning Center at the Willamette Education Service District in Salem. The site is located south of downtown at 2611 Pringle Rd SE. 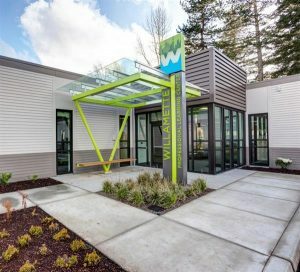 It is on two major bus routes, has plenty of parking, offers modern and flexible classrooms, and has a gathering space that faculty, students and staff can use for meeting, studying and working. We are developing offerings for a full rollout of programs in Fall 2019. We are especially interested in working with faculty who can offer upper division courses of interest to generalist students in a hybrid, evening/weekend format. Click here for some resources on developing and teaching hybrid courses. In 2019-20, pending NWCCU approval of our new site and new programs, WOU can commence offering the MA in Organizational Leadership and the AB in Liberal Studies in Salem. 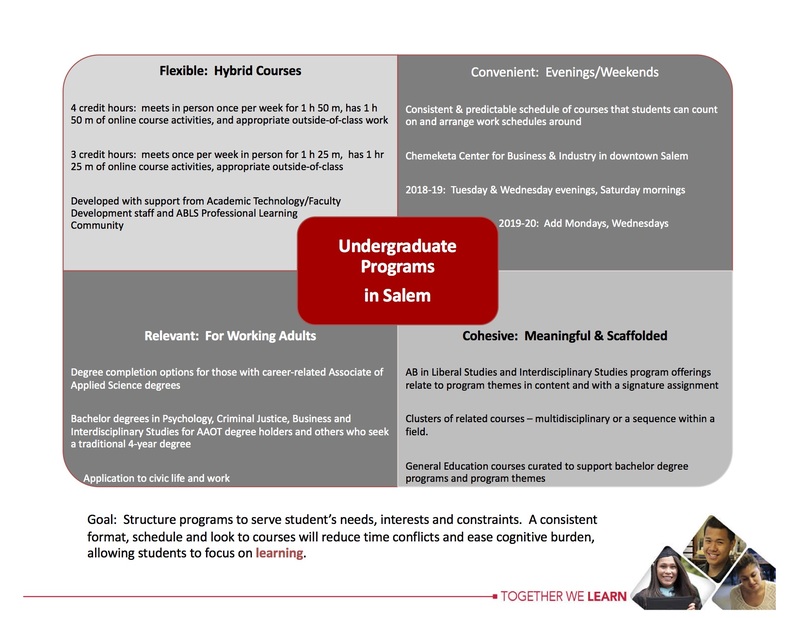 In addition, with a path through General Education in Salem and selected upper division course offerings, a number of WOU programs — Psychology, Criminal Justice, Interdisciplinary Studies and Business — will become more accessible to working adults who need flexible courses that are offered when and where they need them. In 2019-20, we plan to offer hybrid courses on Tuesday, Wednesday and Thursday evenings. As our presence develops, we plan to expand into Monday evenings and Saturday mornings. We are planning for student services in Salem. As our hours of operation and enrollments increase, so will the services we offer students. No matter what, students in Salem will be supported by WOU staff in navigating registrar, financial aid and business office services. Click here for more information, and to let us know how you are interested in contributing. Click here if you would like to propose a Salem-based upper division course for the AB in Liberal Studies program.